Should MW/MI/ME increase the age limit to 27/28? It seemed the overage issue is trending in two South American countries this year. 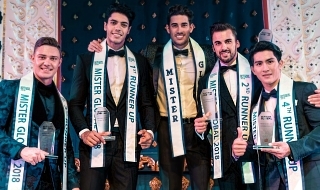 One is from Bolivia whose appointed delegate was overage for Miss Earth 2018 while the other one is from Venezuela whose chosen delegate was overage for Miss World 2018. 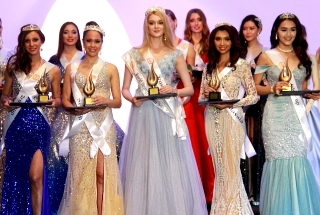 While other pageants already increased the age limit from 27-30, do you think Miss World, Miss International and Miss Earth should increase the age limit to 27/28 or will they stick to the traditional maximum age limit of 26? 1. Miss World never crowned a delegate whose age is over 25. The closest one was at Miss World 1977 where Miss Holland (now Netherlands) was 25 years old at that time of the pageant finished runner-up to Miss Sweden. 2. Ikumi Yoshimatsu of Japan (age 25 at that time of the 2012 pageant) and Karen Ibasco of the Philippines (age 26 at that time of the 2017 pageant but turned 27 six weeks after her coronation) are the oldest winners at Miss International and Miss Earth pageants. Re: Should MW/MI/ME increase the age limit to 27/28? 28-year-olds are accepted by MWO. Miss Poland is 28.
ajsy0203 wrote: It seemed the overage issue is trending in two South American countries this year. 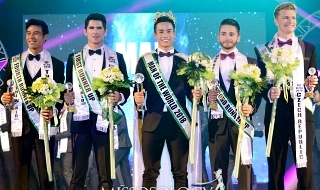 One is from Bolivia whose appointed delegate was overage for Miss Earth 2018 while the other one is from Venezuela whose chosen delegate was overage for Miss World 2018.